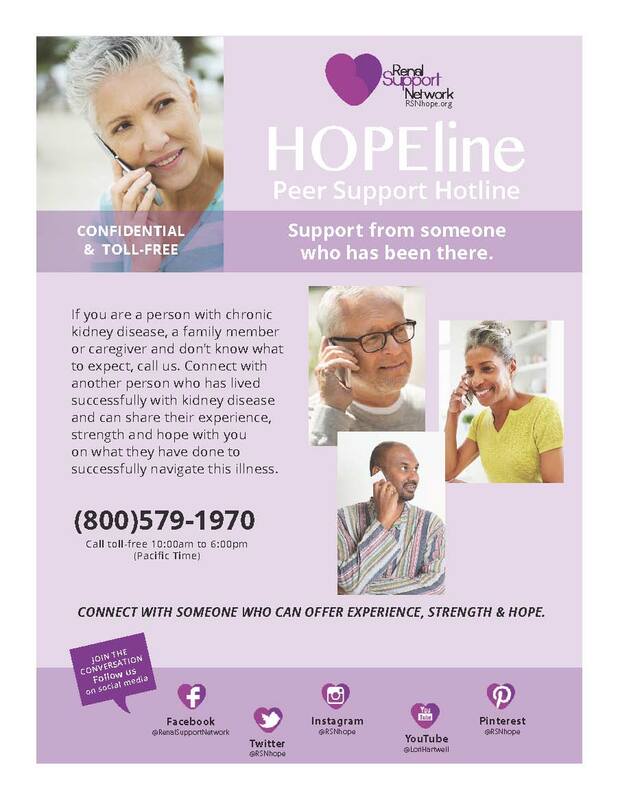 A peer support phone line for hope and help answering all your questions about living well with kidney disease. 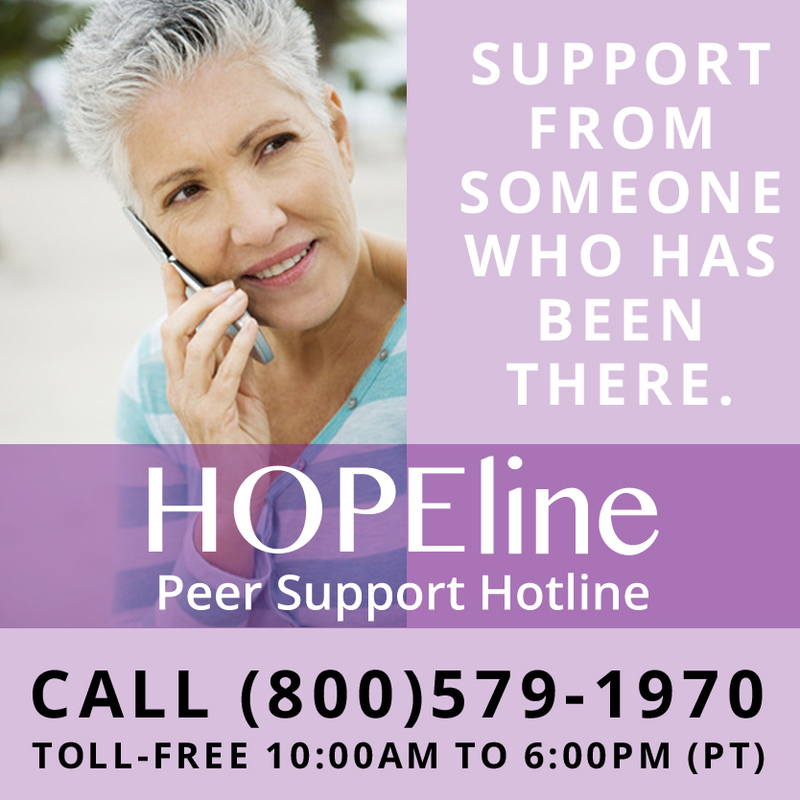 Since the launch of the Hopeline in 2007 RSN has helped thousands of people through peer-to-peer support. 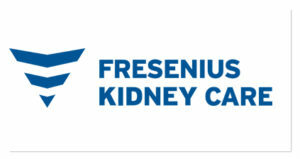 If you are a person with chronic kidney disease, family member or caregiver and don’t know what to expect, call us. 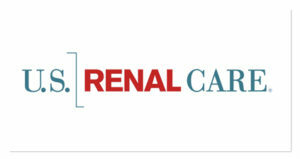 Connect with another person who has lived with kidney disease and can share their experience, strength and hope with you on what they have done to navigate this illness successfully. The compassionate and knowledgable people who answer our Hopeline are living a fulfilling life in spite of kidney disease. They can help you understand and learn how to manage chronic kidney disease, no matter what stage of the disease you are in. 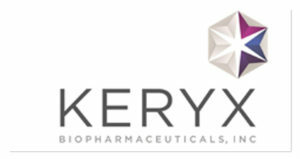 Talk to someone who knows what it is like to begin dialysis treatments. 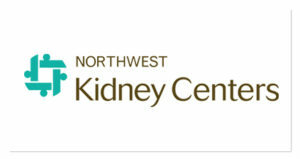 Learn the steps necessary to get listed for a kidney transplant or become a donor. Read Lori Hartwell’s article on Persistence and Hope.